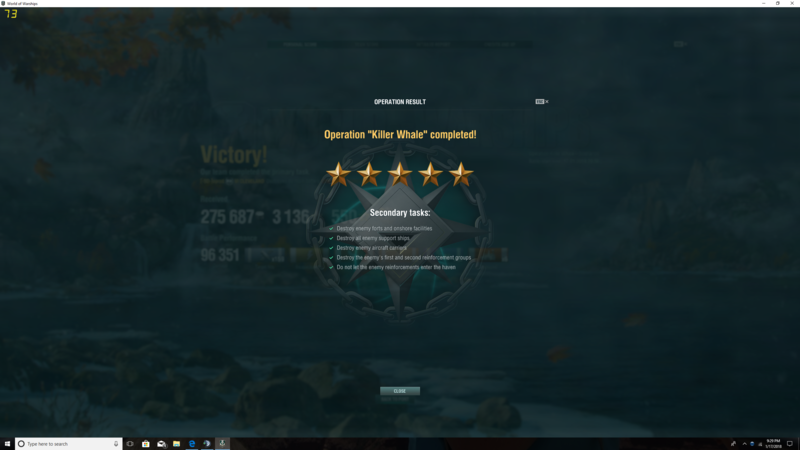 I played the operation twice tonight ( 17 Jan 2018) and the first battle I earned 4 stars. I replayed the battle and got 5. Neither time did I find a new captain in my reserve nor did I get the flags or signals appropriate for the 4 star win. I have a screen shot of the 5 star win . Can I get my rewards please? Ever play it and complete before? Highlight the stars, and it will tell you when you received the rewards. Since you already got the rewards for the 4 star, you will only get the reward for the 5 star which is a 24 hour Premium account time.